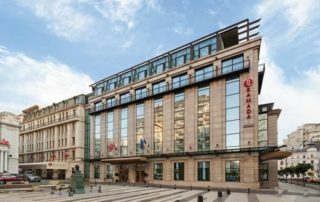 The Ramada Bucharest Majestic Hotel is located in the heart of Bucharest, in the business, financial, cultural and shopping center of the Romanian capital. It offers free access to an indoor pool and a sauna. 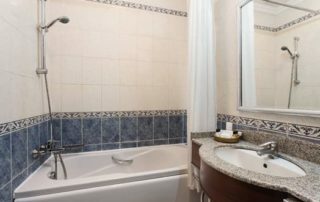 The comfortable rooms boast free internet access and all necessary amenities. All units come with cable TV and a mini-bar. 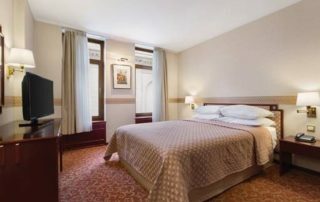 Located directly on Calea Victoriei, the most elegant and one of the oldest main streets of the city, Ramada Bucharest Majestic Hotel offers excellent services provided by a helpful and dedicated staff. A take away breakfast can be arranged upon request. Guests staying at the hotel receive 10% discount at the hotel´s restaurant. This hotel is the ideal choice for business or leisure travelers, offering a wide range of meeting rooms as well as a spa and fitness center to unwind after a busy day. Sector 1 is a great choice for travelers interested in nightlife, museums and old-town exploration. In order to book your room at Ramada Majestic using our discounted prices please fill in and send the form below.